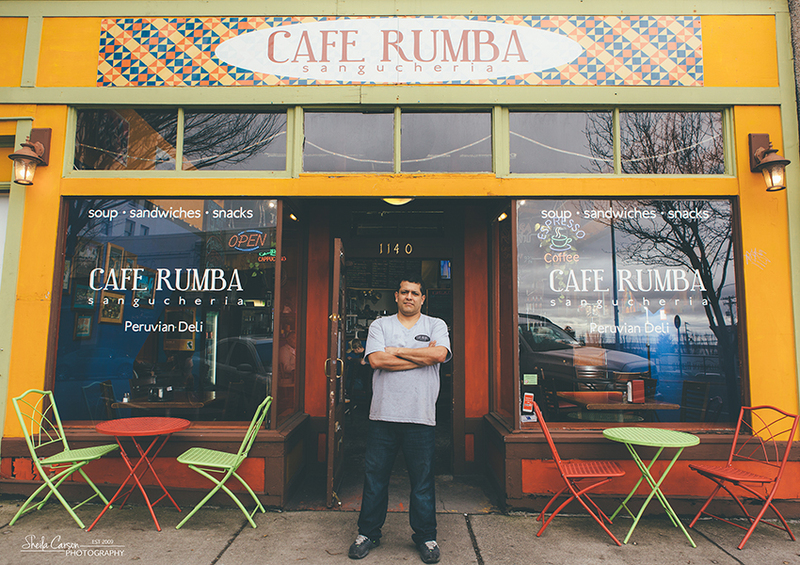 I had so much fun photographing Antonio from Cafe Rumba for Journey Magazine! 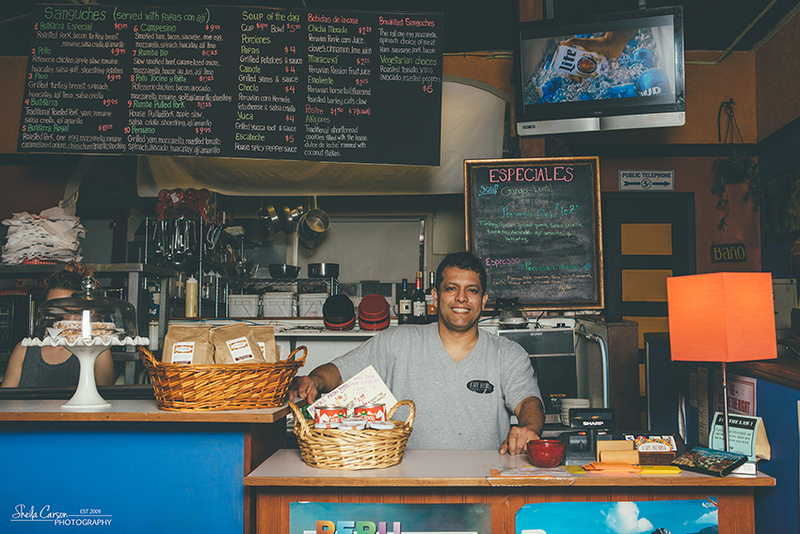 Antonio learned most of what he knows about Peruvian cooking from his parents, who taught him their favorite dishes from their respective birthplaces (coastal Chiclayo, and mountainous Arequipa). And not only can you get great Peruvian food with great service at Cafe Rumba, you can also dance the night away with Antonio at one of their Salsa Nights on the 1st, 2nd & 3rd Saturdays of every month, 9:30pm-midnight! Each Salsa Night starts with an intro lesson and is then followed by the best mix of Latin music. Cover is $4 and is open to all ages. Beer and wine is available for customers 21 and over.